In July most Finnish people plan a trip to the countryside. 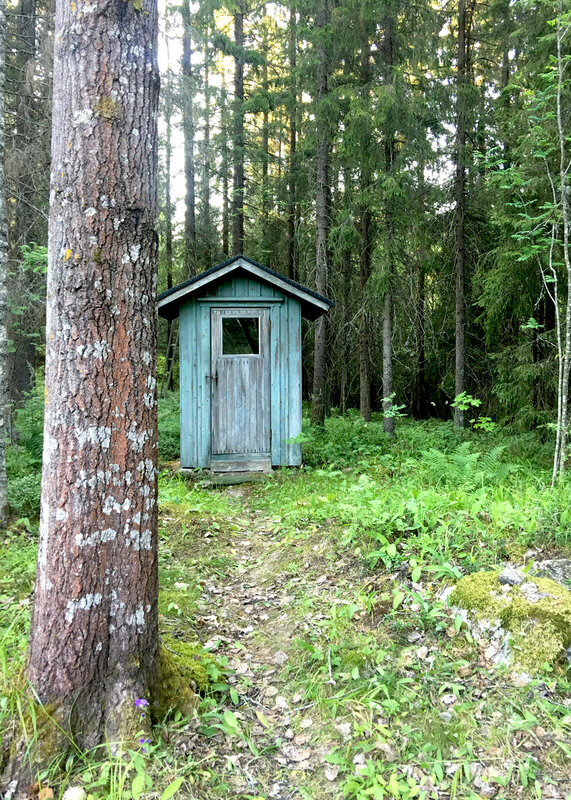 Best things about Finnish summer is spending time with family, swimming in the lakes, enjoying a wood heated traditional sauna, eating vegetables and berries straight from the yard. 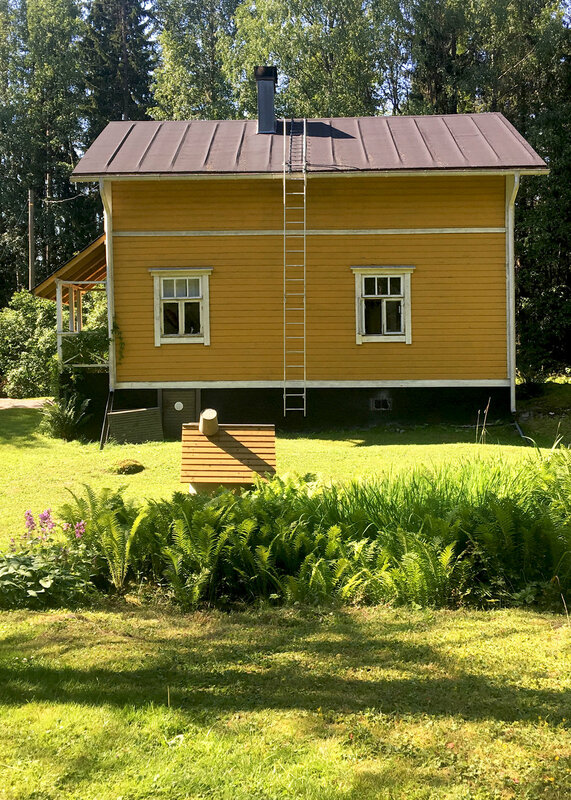 Like many Finnish summer houses, the yellow wooden house where Hannele spends her summers was once her grandparents farm house. There used to be a horse, cows and chickens. The garden and the field (now a wild meadow) used to provide food for the family. Like with all Finnish houses, there is a white sauna building. There is no running water, so all water is carried from the well to the house and sauna like it was always done. When you lift and carry all the water you use throughout the day, you realize how precious it is. How easy it is to waste water in the city by just turning on the tap! Inside the house all items from Hannele's grandparents time are still in use. There is no need to buy new things here - old furniture and goods are used for as long as they last. Thank you Hannele for sharing with us your Finnish summer paradise!